The Washington Post ran a story on Wednesday, “Occupy Wall Street just won.” With the 2016 Presidential campaign heating up, the article claims Occupy just won because the discussion of the 99% is the center of this election cycle. 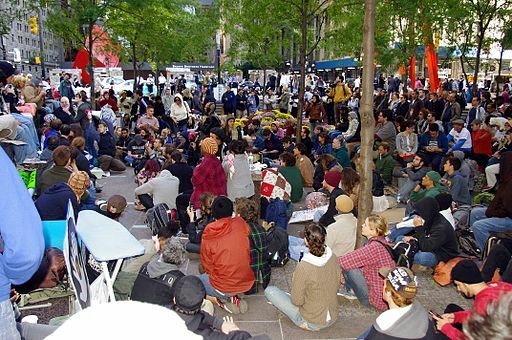 Our victory is not new or recent; the media has refused to credit Occupy with the numerous conversations that began with the 2011 Occupy Movement. The public that didn’t pay attention then is realizing that what we were talking about had merit, and maybe they should have listened. The media back in 2011 wanted to cover the Occupy story the same way they covered everything: show up, interview 4 to 8 people, shoot some film and head back to the office. They made the story about tents and parks, about homeless hippies and jobless layabouts. Instead of listening to what the real message was, they did the old reliable trick of pleasing the editors by finding the strangest, most unusual person and ask them questions until they can’t answer one with articulation, and that’s what makes the news. My first visit to Occupy in 2011 was quite different than what the press told me I would find. There were college professors, doctors, lawyers, retired teachers, people from all walks of life. The conversations that were taking place were the most interesting. I wasn’t sure about Monsanto, and I didn’t know much about GMOs. I heard a lot about “People Over Profits,” Banks got bailed out, we got sold out,” “Who’s streets? Our streets!,” and a multitude of messages about wages, inequality, discrimination, corporate dominance, women’s rights and yes, even anti-war sentiments. This entry was posted in Austerity, Banking & Lending Issues, Campaign finance, Civil Rights, Climate Change & Environmental Issues, Corporate Personhood, Corruption, Demonstrations & Protests, Economics, Education, Elections, Government, Health Care, Homeless, Human Rights, Human Spirit, Income Inequality, Living Examples, Media Issues, National Security vs Police State, Privatization, Social Justice, Solidarity, Unions and Organized Labor, Veterans, Women's Issues, Workers' Issues and tagged Capitalism, Civil Rights, Democracy, Economics, Elections, Environment, Equality, Health Care, Human rights, Income Inequality, media blackout, Media Issues, Occupy, Occupy Movement, Occupy Wall Street, Protests, Riot Police, Social Media, Solidarity, Unions, Women's Issues, Worker's Rights, workers' issues on July 16, 2015 by MNgranny. The outcome of Denmark’s general election on June 18 could depend heavily on the success of a radical new party called The Alternative. Denmark is going to the polls on Thursday, June 18, and much may depend on the success of a new party called The Alternative (Alternativet). 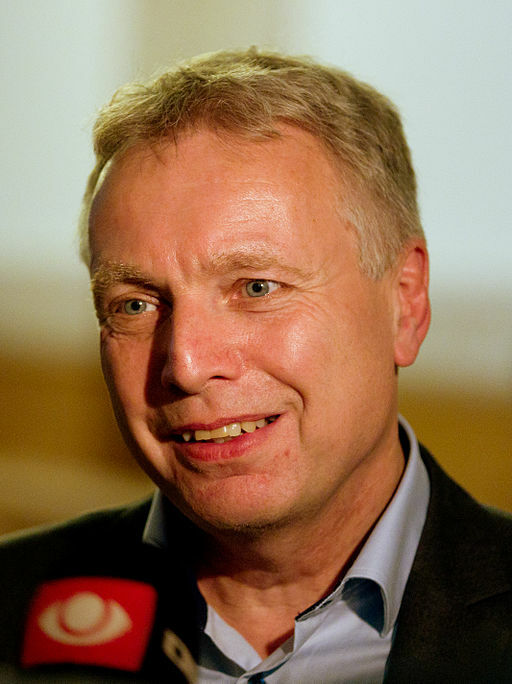 This entry was posted in Elections, Government, Solidarity, Technology and tagged Denmark, Elections, Green Party, Occupy, Social Media, Solidarity, The Alternative on June 6, 2015 by ew. Written by Sarah Lazare, staff writer for CommonDreams. Published 5-21-15. “Communities on the front lines of fossil fuel extraction are fighting back,” said Ahmed Gaya, an organizer with Rising Tide Seattle. Photo courtesy Rising Tide Seattle via Facebook. This entry was posted in Austerity, Banking & Lending Issues, Civil Rights, Climate Change & Environmental Issues, Corporate Personhood, Corruption, Cybersecurity, Demonstrations & Protests, Economics, Education, Elections, Energy, Fracking, Government, Human Rights, Immigration, Income Inequality, International Agreements, Mining, National Security vs Police State, Social Justice, Solidarity, Supreme Court, Unions and Organized Labor, Water, Workers' Issues and tagged Capitalism, Democracy, Economics, Energy, Environment, Equality, Fracking, Income Inequality, International Agreements, Occupy, Oil, Oil Shale, Pipeline, Protests, Security, Solidarity, Water on May 24, 2015 by MNgranny. Without any apparent progress, talks in Brussels between the Syriza-led government of Greece and finance ministers of the Eurogroup collapsed on Monday just hours after negotiations began. An official with the Greek delegation first told Reuters that talks were called off after finance minister Yanis Varoufakis rejected a proposal put forth by the Eurogroup ministers which essentially called for an extension of the current bailout scheme with no alterations to the terms. This entry was posted in Austerity, Banking & Lending Issues, Civil Rights, Demonstrations & Protests, Economics, Government, Human Rights, Human Spirit, Income Inequality, International Agreements, Social Justice, Solidarity, Workers' Issues and tagged Austerity, Democracy, Economics, Greece, Income Inequality, International Agreements, Occupy, Protests, Solidarity, Syriza on February 18, 2015 by MNgranny. South Korea General Strike, Dec 28, 2013. Image via Twitter. This entry was posted in Austerity, Civil Rights, Climate Change & Environmental Issues, Corporate Personhood, Corruption, Demonstrations & Protests, Government, Human Spirit, Income Inequality, International Agreements, Media Issues, Social Justice, Solidarity, Terrorism, Women's Issues, Workers' Issues and tagged Capitalism, Democracy, Economics, Environment, Fracking, Health Care, Hydraulic Fracking, Income Inequality, International Agreements, Occupy, Oil, Police Brutality, Protests, Riot Police, Social Media, Solidarity, Water on December 16, 2014 by MNgranny. 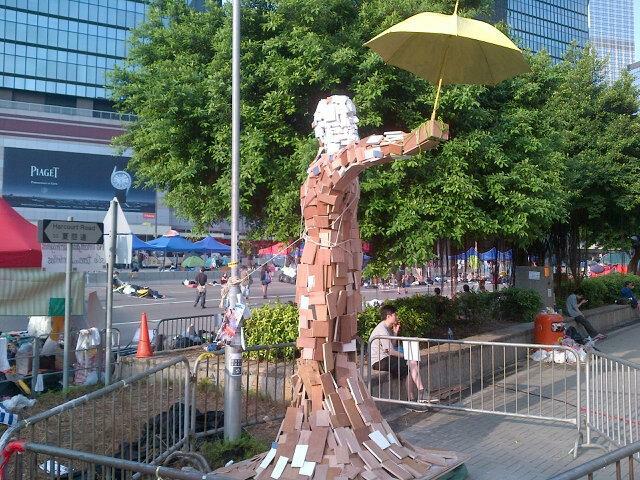 Hong Kong’s umbrella revolution on September 30, 2014. Pasu Au Yeung/ Flickr. Some rights reserved.The most recent protests in Hong Kong are indicative of a trend among people’s movements that use civil resistance – the increased emphasis placed on the taking and holding of physical space, which is to say, the tactic of occupation. Usually focused on a central square, as in the case of Egypt and Ukraine, or concentrated on a particular site emblematic of injustice, as in Occupy Wall Street, occupations as a tactic have been a media coverage-igniting feature of many of the most important protest campaigns occurring over the past few years. This stands out as a relatively new phenomenon when considered within the longer history of civil resistance movements, when the tactic or place of occupation seldom came to define the entire movement. 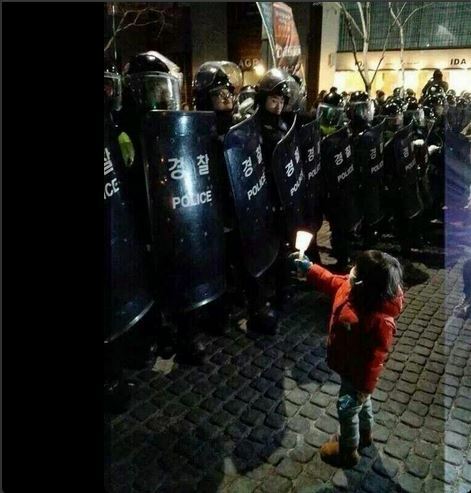 This entry was posted in Civil Rights, Demonstrations & Protests, Government, Human Spirit, Media Issues, Solidarity and tagged Democracy, Occupy, Protests, Riot Police, Social Media, Solidarity on November 19, 2014 by MNgranny. The imposition of austerity has no democratic mandate from the public. Nobody voted for the privatisation of the NHS, or the Bedroom Tax, and the Liberal Democrats were quite prepared to renege on one of the key promises they made to their voters on tuition fees. Our system of parliamentary democracy is unable to deal with the consequences of a social crisis it helped to create. We are facing record homelessness, while many more struggle to keep a roof over their heads, record numbers are relying on food banks to feed their families, and record numbers are facing fuel poverty as energy prices rise eight times faster than wages. Meanwhile inequality is reaching levels not seen since the nineteenth century. It is becoming clear to millions in this country that our system of democracy increasingly functions in the interests of big business and a tiny wealthy elite. That the imposition of austerity has no democratic mandate from the electors. That nobody voted for privatisation of the NHS. That the Liberal Democrats broke the promise on tuition fees they made to their voters when they entered into the Coalition. 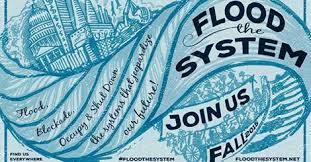 That the Coalition government’s conduct reveals a fundamental problem with Britain’s system of parliamentary democracy. That Parliament has failed to protect the interests of the majority, and especially of the most vulnerable, in our society. That government and Parliament function in the interest of big business. 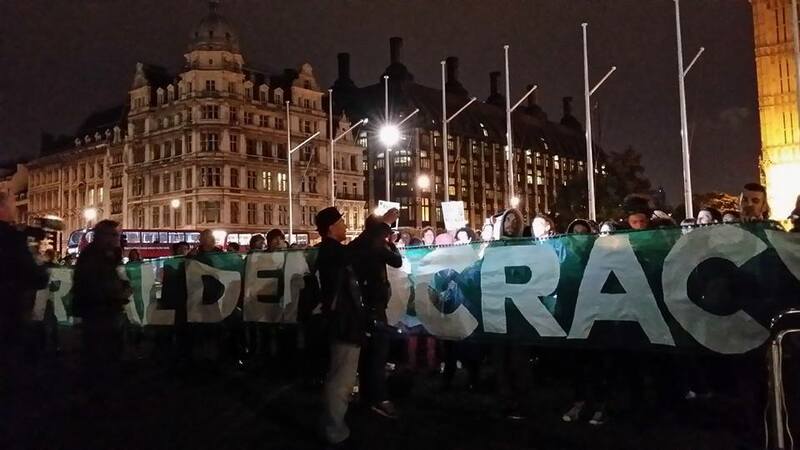 To support the call of the Occupy movement for the occupation of Parliament Square on Friday 17th October in order to put forward a set of democratic demands for the fundamental reform of Britain’s system of democracy. The occupation began with an overnight vigil marking the International Day for the Eradication of Poverty. It was also a direct challenge to the Police Reform and Social Responsibility Act 2011, which repealed the law that prohibited protests near Parliament Square, but instead outlawed items that could be used for sleeping in that area. Friday night passed peacefully, but Saturday night had the police forcibly removing campers’ personal belongings and harassing the protesters. On Sunday night, hundreds of police converged on the square in an attempt to remove the protesters. The demonstrators were given 30 minutes to leave or face arrest. According to the Occupy Democracy Facebook page, the protesters will be occupying the square in shifts through the night. The occupation is scheduled to run until this coming Sunday. A schedule of events is listed here. 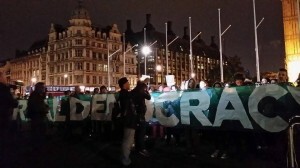 Occupy World Writes stands in solidarity with Occupy Democracy. All over the world, the people are saying enough is enough. United, we can change the world. Divided, we don’t stand a chance. This entry was posted in Austerity, Civil Rights, Corruption, Demonstrations & Protests, Economics, Education, Elections, Government, Health Care, Human Spirit, Income Inequality, National Security vs Police State, Social Justice, Solidarity, Unions and Organized Labor and tagged Capitalism, Economics, Education, Health Care, Income Inequality, London, Occupy, Occupy Democracy, Protests, Solidarity, Unions on October 20, 2014 by ew. As you’ve probably noticed by now, the protests in Hong Kong have captured our attention. We normally wouldn’t write another piece on them so soon (we wrote about the protests two days ago), but there’s so much happening that we feel it’s worthwhile to catch up with what’s going on. 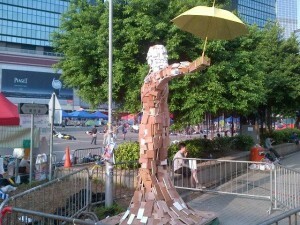 The iconic image of “Umbrella Man” at the protest site in Hong Kong. Image via Twitter. What I personally find fascinating are the similarities in the responses both here and in Hong Kong to protesters by the powers that be. You might be thinking; “Similarities? Between what’s supposed to be the land of the free and the largest authoritarian regime on the planet?” Why, yes – that’s exactly what I mean. Let’s look at some examples. On Wednesday, the media and communications adviser to Leung Chun-ying, Hong Kong’s Chief Executive, posted a photo to Facebook that was supposedly of a police officer who was wounded in clashes with the protesters the night before. This was circulated by supporters of the police as evidence that the protesters weren’t as peaceful as they claimed to be. This sounds similar to Ferguson, Missouri and the supposed pictures of Officer Darren Wilson that were circulated in the conservative media as “proof” that Michael Brown had assaulted Wilson, leaving Wilson no other option but to shoot Brown in self defense, doesn’t it? It turned out that this wasn’t the only similarity. Like the supposed pictures of Wilson, the photo of the police officer turned out not to be of who they said it was. Instead, the photo was of an actor who plays a zombie police officer in a HKTV show called Night Shift, and was a still photo from one of the episodes. Then, there’s who’s actually directing the response. The New York Times, in an article yesterday, said that according to former Hong Kong and Chinese government officials, as well as other experts, it’s the Beijing government who have been directing the response to the protests, and not the local government. Once again, this sounds eerily similar to the response to the Occupy movement here in the US, where documents obtained through FOIA requests showed that the crackdown on the Occupy encampments were coordinated by DHS and the FBI, with the local police for the most part following their guidance. Or, maybe it’s not so surprising. 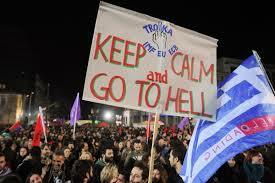 After all, in almost all the unrest around the world over the last few years, there’s been common themes. We want to have a voice in our government. We want to be able to earn a living wage. We want our children to be educated. We want women and minorities to be treated with respect and as equals. We want affordable housing. We want the opportunity to be the best we can be. With all that in mind, is it surprising that those in power follow the same script as well? The world is waking up. Every day, we read of more demonstrations, more protests, more people saying enough is enough. 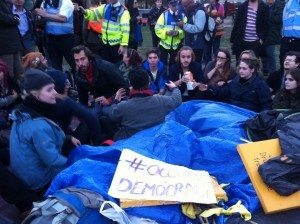 Occupy World Writes reaches out in solidarity to all of these people across the globe. Together, we can change the world. We are many; they are few. We are the 99%, and we shall overcome. This entry was posted in Civil Rights, Demonstrations & Protests, Government, Human Spirit, International Agreements, National Security vs Police State, Social Justice, Solidarity and tagged Democracy, Hong Kong, International Agreements, Occupy, Protests, Solidarity on October 18, 2014 by ew.